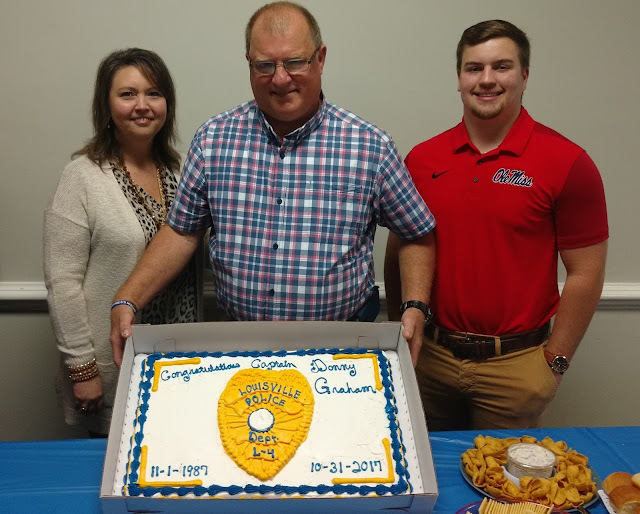 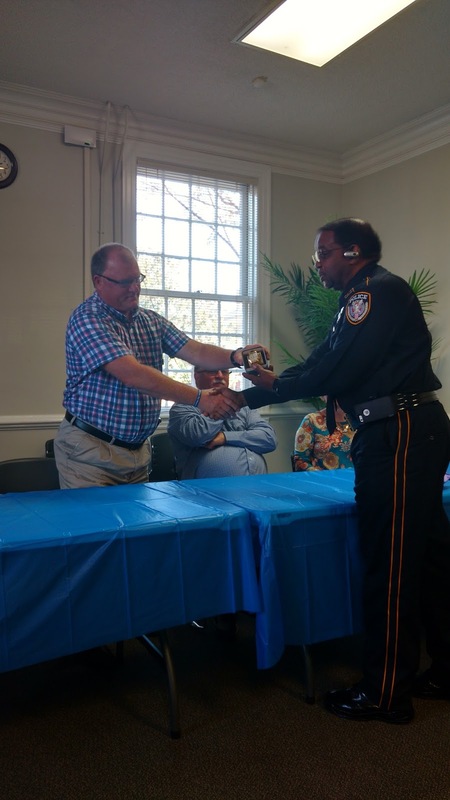 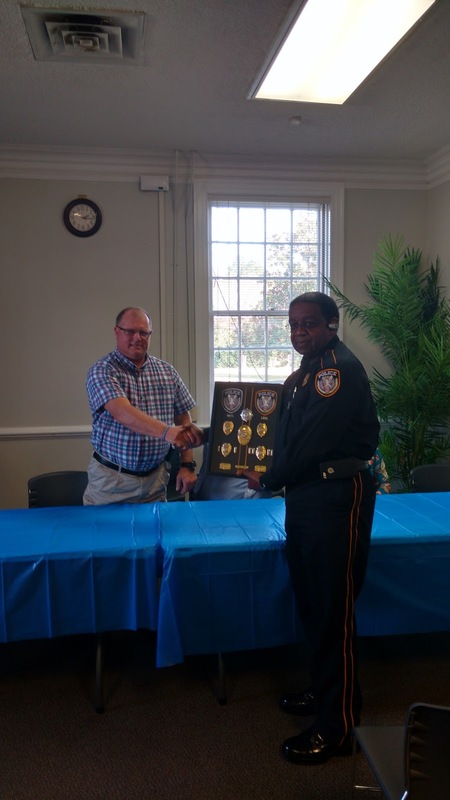 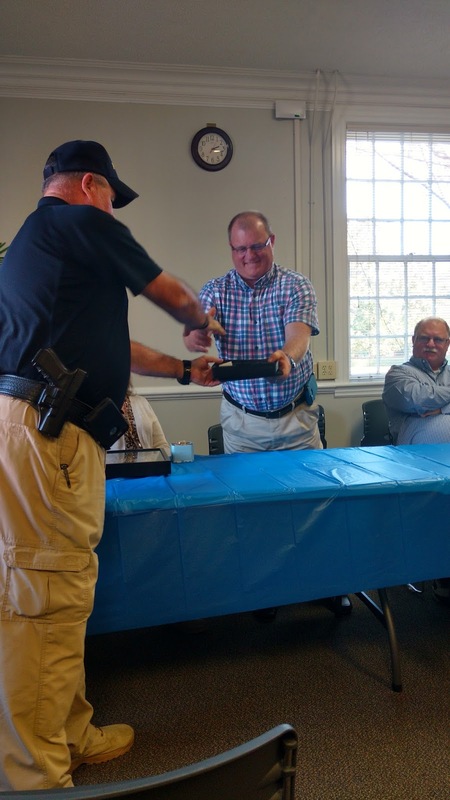 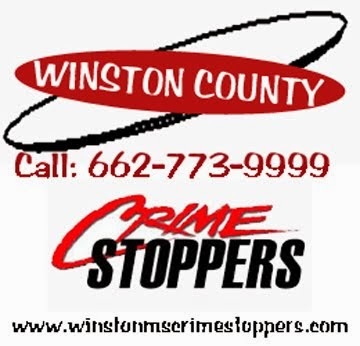 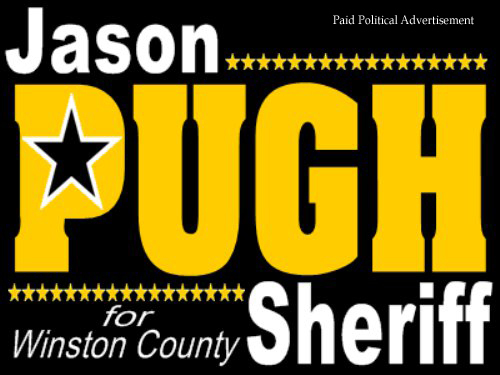 City officials, friends, co-workers and family gathered on November 17 at the Winston County Library to celebrate the retirement of Police Captain Donnie Graham who served 30 years with the Louisville Police Department. Graham is shown above with his wife and son. Captain Graham was presented a shadowbox of memorabilia from his time of service, and a watch by Police Chief L.M. Claiborne along with his service revolver by Deputy Chief Andy Taylor.